Providing you the best range of connecting loop, shuttering magnets, magnetic chamfer rods, magnetic nailing plates, pipe holding magnet and pvc junction box magnet with effective & timely delivery. We are the manufacturers & Suppliers of Connecting Loop. Used in pre cast construction walls in vertical casting joints. 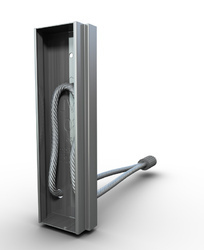 They help in installation of wall elements and enable perpendicularity to wall elements. 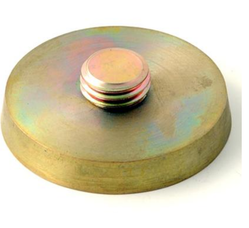 Shuttering Magnets are used in supporting side rails & concrete framework applications. Available in different sizes & strengths. 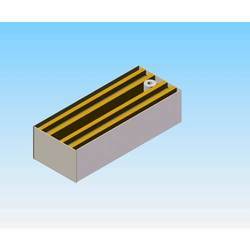 Magnetic Chamfer Rods are used for chamfer on edge of the walls. It is reusable and durable. 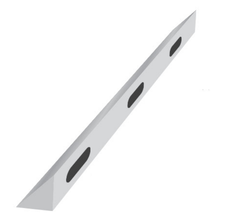 Magnetic Nailing Plates are used to fix the precast anchors to the pre cast formwork. First the nailing plate is fixed on the form work & then precast anchors will be screwed on the nailing so the precast anchors remain in position during casting of concrete. Available in M12 to M52 threading sizes. We are the manufacturers of Pipe Holding Magnet for holding pipe in the walls casting till casting molds are removed. 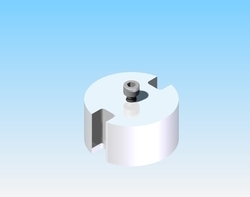 We are the manufacturers of PVC Junction Box Magnet for holding junction boxes in place till casting molds are removed. 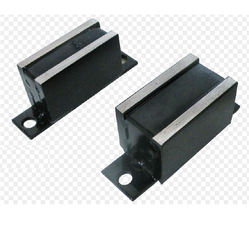 Electric Junction Box Magnet offered comprise high performance based junction box magnets. 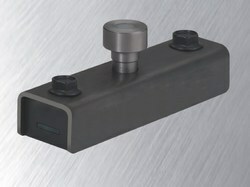 Looking for Magnets & Accessories For Precast Industry ?